North Texas Jellystone Park™ is the ultimate place to host a party or reunion. Not only do we offer fun activities for the whole group to join in on, but we also have multiple lodging options to reserve for extended celebrations, such as our Premium Luxury Cottages, our Bunkhouse Rooms, and our Ranger Smith™ RVs. For the main celebration, we have several facilities available for you to rent and decorate with both catering and self-catering options available. Whether you’re dreaming up an anniversary party, sweet 16, bar mitzvah or bat mitzvah, end-of-school celebration, graduation party, holiday-themed party or unique 40th birthday party, we are ready to make your party especially amazing by building a unique experience just for you. Our resort and park comes alive when our guests are celebrating significant milestones or throwing a party “just because;” there’s always a good enough reason to have a party here! Located just south of the Dallas/Fort Worth area, we’re close enough for everyone to get to and just far enough for them to leave their worries behind and come ready to party! Family reunions are always a blast here! There is fun stuff to do for every age level, so everyone – from Great Uncle Joe to the wild cousins – has the chance to make memories together. Military reunions hold a special place in our heart. Our experienced staff, many of whom are US Military Veterans, is here to welcome our military families and help make your reunion a success. 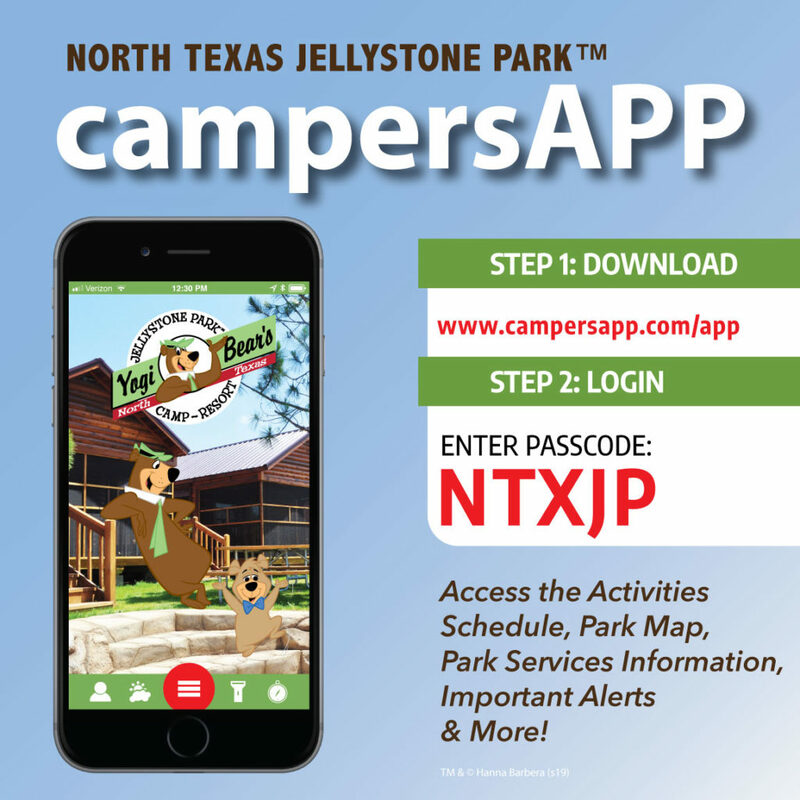 Class reunions celebrate a time of youth, so why not come out to North Texas Jellystone Park™ and party in 75 acres worth of nature with familiar characters from your youth roaming free, like Yogi Bear™ and his pal Ranger Smith™. Put all past awkwardness aside, forget about comparing present-day job titles and come appreciate your classmates for who they are and the youth they still have inside! Our event staff plans fun, unforgettable events for a living!